Sometimes we fancy venturing a little further afield for our festival experience, not least because European festivals tend to be a little, well, cheaper, not to mention less hectic, than their British counterparts. These are the ones we’re heading to this year. For something a little different (don’t knock it’til you’ve tried it), this German and international hip-hop festival is well worth the visit. American rapper J. Cole and German stars Cro and Casper are headlining this year. The location is pretty unique, too: it takes place in Ferropolis, a ‘city of iron’ in north-east Germany. This open-air museum dedicated to industrial culture is right next to the Gremminer Lake – ideal for a refreshing dip the morning after. You’ll need something to pick you up after all those beers, this is Germany, after all. And we’ve got to say, there’s something rather special about getting down against the backdrop of the museum’s enormous old industrial machines, some of stretch 30 metres into the sky. Around 40 different locations across Lyon – from art galleries to swimming pools and rooftops – are transformed into venues for this day-and-night electronic music festival, so it’s a great way to see the city. You’ll find both French and international artists on the bill, while four big names curate (and play) a day each. This year, it’s the turn of ambient and ‘folktronica’ musician Four Tet, electro DJ and producer Jennifer Cardini, techno king Daniel Avery and techno artist Paula Temple. The festivities continue through the night, with this year’s packed schedule featuring sets from DJs Maceo Plex and Avalon Emerson and electro duo Bicep. If you’ve had enough of the typical UK booze-soaked festival, then there’s always Croatia’s Obonjan. Calling the 136-acre private island of the same name home, this festival lasts a full ten weeks over summer. It’s a far cry from what you typically expect from a festival (you know, booze, mud, more booze and the odd bit of music thrown in). It’s been dubbed a high-end ‘restival’ by some, due to its focus on wellness, with sunrise yoga, stargazing and self-development workshops all featuring large on the agenda. But if that’s not really you, there are still plenty of other things to enjoy, from watersports to cocktails and sunset beach parties. 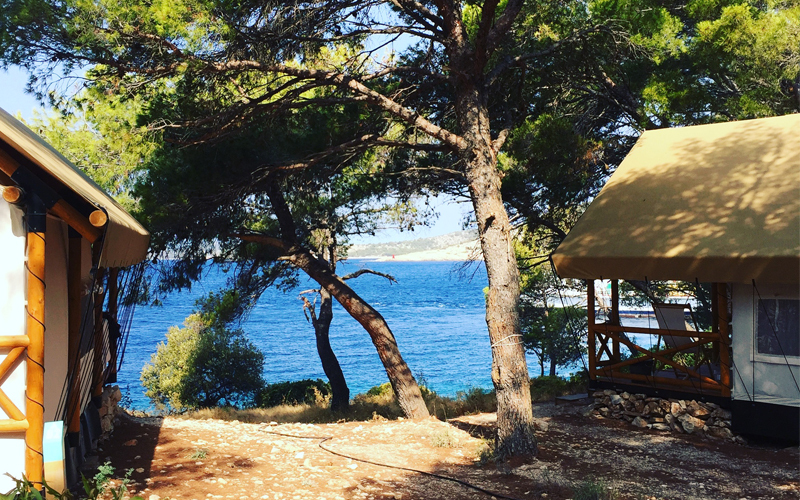 And whatever you do while you’re there, we reckon you’ll love the idyllic location – the private island’s views over the Adriatic are pretty hard to beat.